He explained to me how often people don’t wear the right size of shoes, and without a proper fitting, there is a pretty good chance that you’re wearing the wrong size now. I was wearing my most comfortable pair of shoes, a cheap pair of New Balance, likely from Walmart. Pilcher checked the fit of my shoes, which I assumed were my size. He explained that, although my foot fit inside the shoe, it was not my size. A good pair of shoes will have an arch support, and the ball of your foot must have proper placement in the shoe as well. This will put the arch support in the arch of the foot, leading to comfort and proper fit. Apparently, I am not the size 12 shoe that I’ve worn for years now. 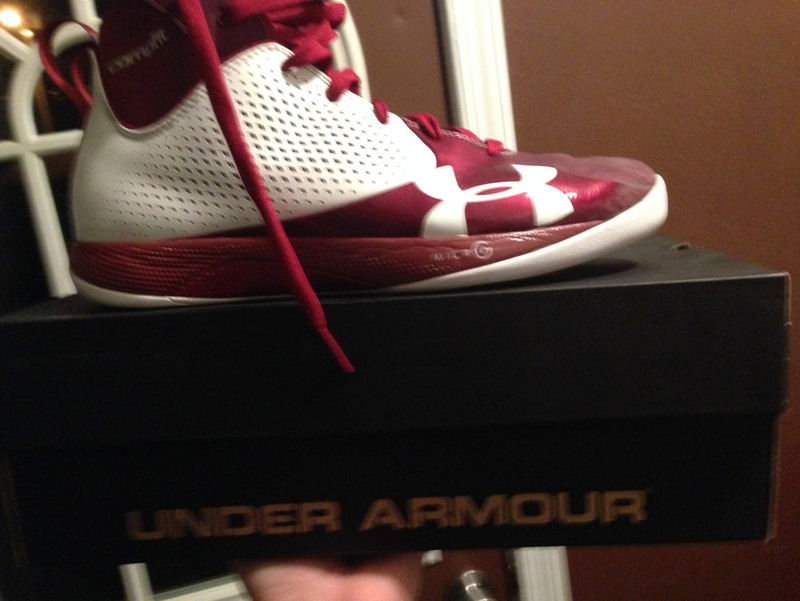 Since I was at Pilcher’s, he pulled out a pair of 13 1/2 basketball shoes made by Under Armor. He also said that I needed slimmer shoes than what you normally find in stores. I tried them on, and he said the fit still wasn’t quite there, and added some shoe inserts. The fit seemed to be the same as my other pairs of shoes except for the fact that the supports hit the right place in the shoe. The benefits of wearing shoes that fit properly cannot be understated! I can’t recall a time that I could go out and play full court basketball for two hours, and not have any foot issues afterward. The shoes fit me great, and don’t cram my toes into the end. I definitely recommend Under Armour Basketball Shoes . Mr. Pilcher has gained a new customer in me, and if you’re near North Webster, Indiana, and enjoy walking and doing activities without foot pain, visit his store. You’ll be glad you did. What is your favorite basketball shoe, and why? Comment below or tweet @HandyFather. I had the same experience there. Bob fitted me with some work boots and they are super comfortable!